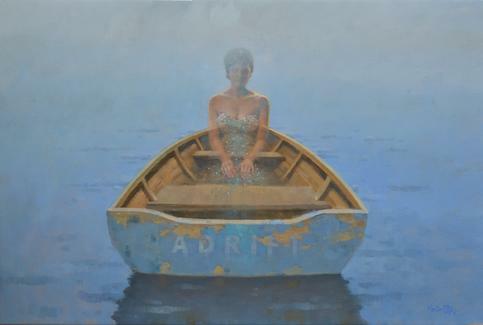 "Adrift is a painting of a young woman in a boat but as I painted it, my thinking was that she represents someone that is uncertain about something in her life or maybe uncertain about life in general. Perhaps she's facing a big decision. She's not actually in a boat but I wanted the boat to represent her life. The "boat" has no paddle so she's not totally in control...there is no visible shore...left to drift with the wind and tide." "I feel a kinship with realist figurative painters of the late 19th century...Waterhouse, Bougereau, Draper, Leighton and others. I am especially intrigued by classically painted figures that tell a story beyond the obvious....often through symbolism. The models I use are people that I know. 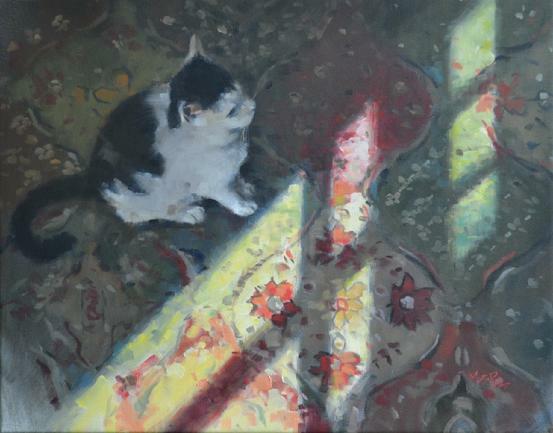 Often, I use their personality as a starting point for a painting's theme. Sometimes a theme will evolve as the painting progresses. The observation of form and personality is a continuing source of inspiration." 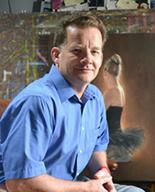 Martin graduated with honors from Ringling School of Art in 1981. His figurative works won acclaim in the Sarasota area by such notables as Thornton Utz who declared a life drawing by Martin as the best work in the 1981 student show. His love of figurative works has led to numerous commissions over the last 30+ years including a 20+ year association with the National Park Service. Martin grew up in South Carolina. He and his wife, Rhonda, live in Newnan, GA.